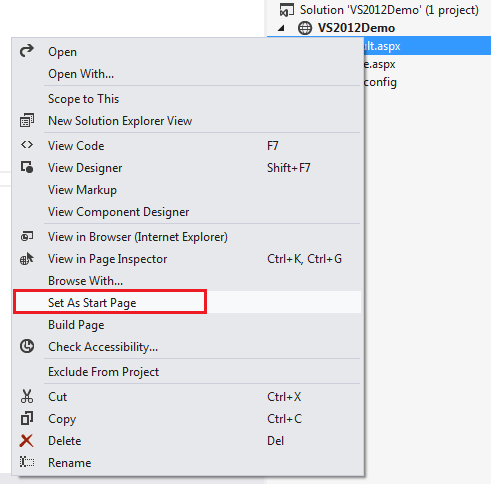 There are 2 ways we can set the start page in visual studio. 1st approach is very simple and we are very much familiar with it. The other approach we usually use less. From the Solution explorer, Right click on the Project and Property Pages. This will open the Property pages dialog box.